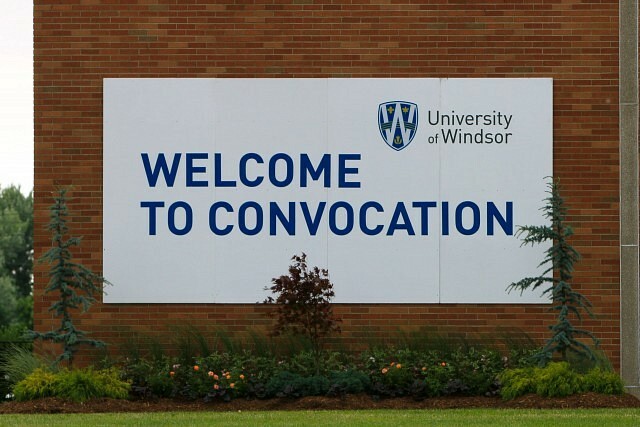 The University of Windsor will confer degrees on 3,477 graduating students during eight sessions of the University’s 107th Convocation ceremonies May 30th through June 2nd. Receiving honorary degrees are Dennis Fairall, Dionne Brand, Calin Rovinescu, James Gordon “Jim” Cuddy, OC, Dr. John G. Kelton, CM, Hon. Dr. Jean M. Augustine, PC, CM, CBE, Hon. Frances Lankin, PC, CM, and Jean Teillet, IPC, OMN (B.F.A., LL.B., LL.M. ).el.